Andreas Olofsson of DARPA’s Microsystems Technology Office is overseeing the real-time ML initiative. Prior to joining DARPA, Olofsson headed Adepteva, where he oversaw development of the Epiphany-V, a 1,024-core, 64-bit RISC processor. The first of two research phases would focus on development of a machine learning hardware compiler that would be used to generate “state of the art” machine algorithms and networks based on existing ML programming frameworks (see chart). A second 18-month development phase would extend early DARPA compiler work to parallel efforts at NSF while supporting “hardware optimization driven by system requirements,” according to the DARPA solicitation. 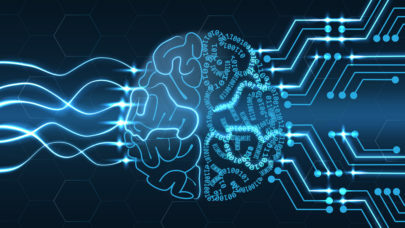 “A fundamental component of the Phase 2 research will be to continue exploring the tradeoffs between system performance and efficiency for different machine learning architectures,” the agency said. The two U.S. research agencies said their collaboration is designed to promote “cross-pollination” of real-time machine learning concepts being funded by both. DARPA expects to release the first version of its real-time ML processor roughly halfway through the three-year effort, with chip tape-out beginning in Phase 2. The program would culminate in a version 2 release and a demonstration of working silicon, according to a program schedule. DARPA said multiple research awards are planned, collectively expected to be worth about $10 million. Research proposals are due May 1, and the ML processor initiative is scheduled to launch with the new federal fiscal year on Oct. 1, 2019. The NSF/DARPA solicitation is here.